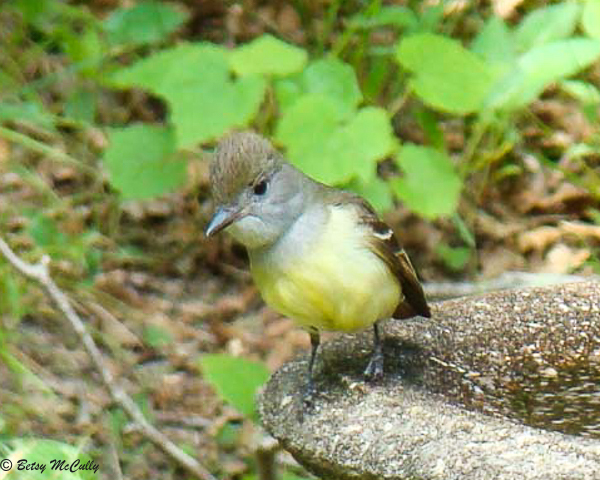 Great Crested Flycatcher (Myiarchus crinitus). Open woodlands. Breeder.